Firearms.sales.com.au does not have a physical shop front or retail outlet and does not hold in its possession any firearms or firearms related items. All firearms and items for sale on this website are owned solely by the individuals placing an advertisement on this website. For further information about any items listed on this website, please click on the link CONTACT SELLER which will direct your enquiry to the seller of that item. 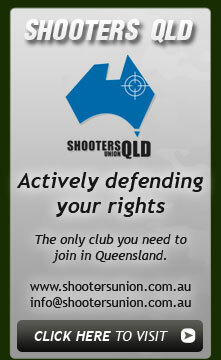 -or who do not hold a lawful firearms licence. 3.Firearmsales is not an Auctioneer. Firearmsales acts as a venue to allow members to offer, sell, and buy items (including firearms). Firearmsales is not involved in the actual transaction between buyers and sellers. As a result, Firearmsales has no control over the quality, safety or legality of the items or content posted by users on the Site, the truth or accuracy of the listings, the ability of sellers to sell items or the ability of buyers to buy items. Firearmsales cannot ensure and does not guarantee that a buyer or seller will actually complete a transaction or act lawfully in using our Site. We will send you correspondence and notices in respect to your transactions and your account. Our correspondence and notices do not represent any endorsement, guarantee, warranty, or legitimisation of your transactions. You are responsible for the completion of all your transactions (including but not limited to monitoring the status and complying with all relevant legal obligations). We do not control, endorse, warrant, guarantee or approve the items, information or content provided by other users, which is made available through our Site. Other User’s information may be offensive, harmful, inaccurate, or deceptive. Please use caution, common sense, and practice safe trading when using our Site. Please note that there are risks of dealing with underage persons or people acting under false pretence. Listing Description. You must be legally able to sell and have the legal ownership of the item(s) you list for sale on our Site. You must provide the serial number and seller’s firearm license number if this is a legal requirement in the state, territory or country where the seller is based. You must provide an accurate description of the item(s) you are selling on our Site. Your listings may only include text descriptions, graphics, pictures and other content relevant to the sale of that item(s). We provide our web site and services on an "as is" basis and without any warranty, guarantee, representation or condition, express or implied or by statute and to the extent permitted by law, we disclaim any implied warranties of title, merchantability, fitness for a particular purpose and non-infringement. Furthermore we do not guarantee continuous, uninterrupted or secure access to our Site. We advise that numerous factors outside our control may interfere with your access to our Site. To the extent permitted by law, Firearmsales and related entities shall not be liable for lost profits or any special, incidental or consequential loss or damages arising out of or in connection with our site, our services or this Agreement (however arising, including negligence). You agree to accept sole responsibility for the legality of your actions under the laws, which apply to you. You agree that Firearmsales and related entities of Firearmsales have no responsibility for the legality of our account holders’ actions or User’s actions. You agree to indemnify and hold Firearmsales and related entities including but not limited to our subsidiaries, affiliates, officers, directors, agents, servants and employees, harmless from and against any claims, demands, proceedings, suit, losses and damages (actual, special and consequential) of every kind and nature, known and unknown, including reasonable solicitors' fees, made by any third party due to or arising out of your breach of this Agreement, or your violation of any law or the rights of a third party. Firearmsales is based in the State of Queensland, Australia and you acknowledge that any advertisements placed by you, through Firearmsales will be published in that State but will be available to be read by persons throughout the world. You must comply with all applicable State, Territory and Commonwealth laws (including common law) and international laws, statutes, ordinances and regulations regarding your use of our service and your listing, purchase, offers to purchase or sell, and sale of items, as they apply in any place concerning your listing and sale, including Victoria (where the advertisement is published), the place from where you are offering your items for sale and the place to which your items may be sold. Specifically, you must ensure that your activities, the items you list, and Your Information do not violate, infringe or cause you to commit an offence or crime against the Firearms Act 1996 (Vic), Broadcasting Services Act 1992 (Cth), the Trade Practices Act 1974 (Cth) and corresponding Statutes, Legislation and Acts of the States, Territories and Commonwealth of Australia. Notwithstanding the successful conclusion of a transaction, you must ensure strict compliance with any particular formalities, which, if not complied with, will either render a transaction void, voidable, unlawful or illegal. Firearmsales is not responsible for confirming that your activities are lawful. You must ensure that you comply with all applicable laws. You must also ensure that you comply with all clauses of this User Agreement. You and Firearmsales are independent contractors, and no agency, partnership, joint venture, employee-employer or franchiser-franchisee relationship is intended or created by this Agreement.